Here, at EN, we truly believe that we serve an industry made up of numerous outstanding people who go the extra mile and businesses who, year after year, strive to be the best. To celebrate these companies, we want you, the loyal readers of EN, to vote for the businesses who you believe deserve to be included in the 2015 EN Elite List, which will be published in our special January edition. Vote in as many of the below categories as you can, stating why each company deserves to be in the EN Elite List 2015. 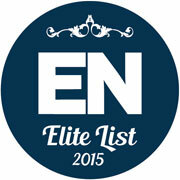 Please note: You can only submit your EN Elite List once and you may not vote for your own company. Votes received after 24 December 2015 will not be counted. Please complete all categories if you can as you won’t be able to return to the voting form once submitted.